A few days ago Asus took part in the Incredible Intelligence 2018 Asia-Pacific event in Malaysia. 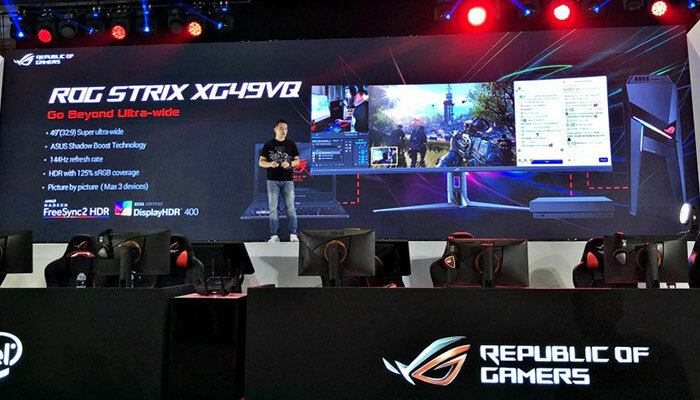 It used the platform to showcase a wide range of its products, from the Zenbo Junior Robot, to the ROG Maximus XI Apex Z390 ATX motherboard, and several more gaming, business, and networking technology offerings. One of the most interesting products shown off was a new 49-inch gaming monitor. The new Asus ROG Strix XG49VQ 49-inch gaming monitor has many attractive qualities. 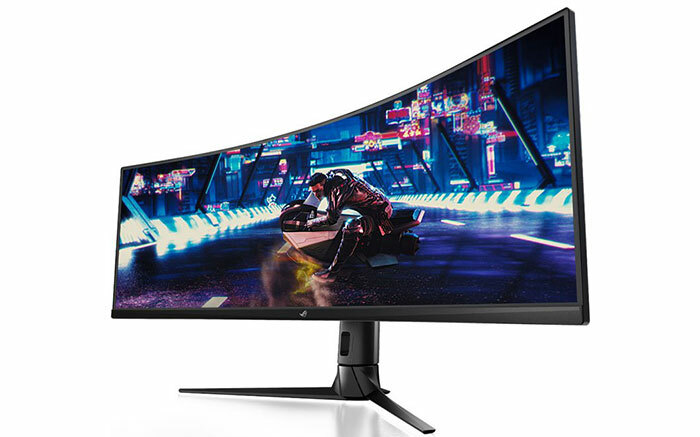 To start with, this is a curved monitor, with a 1800R curvature. Some people don't like curved monitors very much but may forgive this monitor due to its considerable width. Across the screen area you get a Double Full HD (3840 x 1080 pixels) resolution offering a 32:9 aspect ratio. Visuals should be impressive, going by the specs we have. The display has VESA DisplayHDR400 certification, and boasts HDR visuals, bright whites, dark blacks, and 125 per cent sRGB colour gamut coverage. Asus Shadow Boost tech helps to deliver the bright whites and dark blacks without over or under exposure. If you are working long hours or late you might also appreciate the low blue light filter option. AMD gamers will appreciate the Adaptive-Sync (Radeon FreeSync 2 HDR) technology for dynamic refresh rate range adjustment, low latency, and smooth visuals in games and multimedia. Max refresh rate is 144Hz. 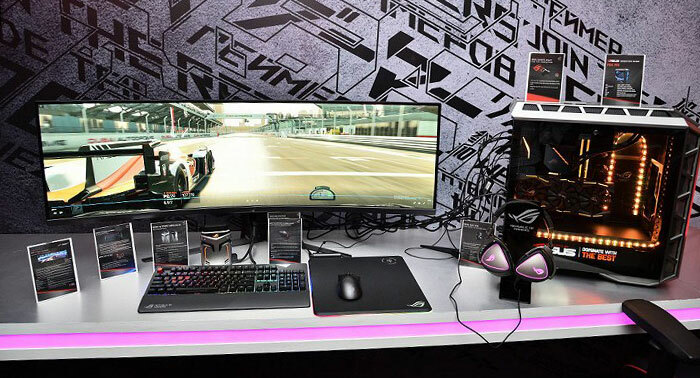 As you might expect in a new Asus ROG monitor, GameVisual technology is present. This proprietary feature offers pre-set modes for different game genres such as RTS and FPS, and modes for photographers or those wanting to enjoy a movie. For further display configuration Asus includes its DisplayWidget software utility, which some might find preferable to fiddling with the OSD. I'm not sure if you can use DisplayWidget to configure the PbP mode, which can accept inputs from up to three devices, it might be OSD configurable only. At the time of writing I couldn't find the official product page for the Asus ROG Strix XG49VQ. Therefore there are some key specs missing, which the marketers skimmed over, tech specs such as; panel type, refresh frequency range, contrast ratio, monitor stand properties, ports, and so on. Pricing and availability information is also, unfortunately, absent for now. how I hate long monitors .. how can you get into a game while looking at a crack in the wall ? 49 long 13 high ? Look directly in front of you, then concentrate on nothing but what you can see without moving your eyes. How much above and below what you're looking at can you see? And how much either side? The human eye is designed to work primarily on the horizontal axis, which makes monitors like this make more sense. I have a 34" 3440 x 1440 monitor and find it to be excellent for playing racing games on. I'd absolutely love something of this size and resolution. I'd love one of those :) I'm sat in front of a wide LG at the moment and now I'm used to it, I'm lovin' the width! I love ultrawide but this one is almost like they cut my TV in half, even if I see that top picture in this page, all I think is about my TV for some reason. This would be great for Postman Simulator.